Pressure Units are available in Hexlox and Screw types providing fast action, vibration-proof locking, strong (up to 4400 psi) pressure, easy installation and lasting durability. A range of lengths, threads, and shaft sizes are available. Special lengths to order. 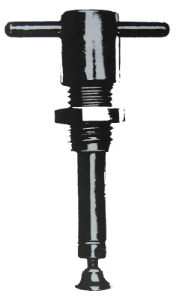 Ideal for fast operation, strong pressure, positive locking, and easy installation. 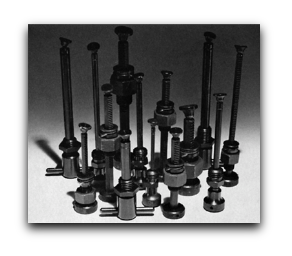 The screw type series is adaptable in all angles from vertical to horizontal position. The pressure ring will hold the unit open. Outstanding for its positive locking range over the full length of the bar. The hexlox type series is known for its quick release, simplicity of operation, and durability.